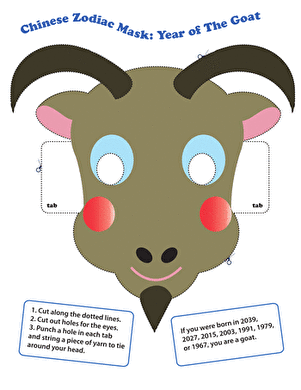 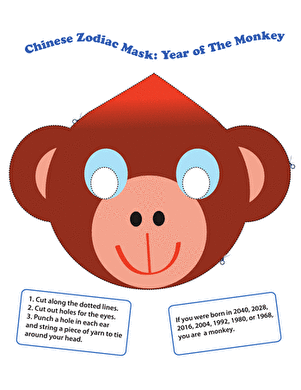 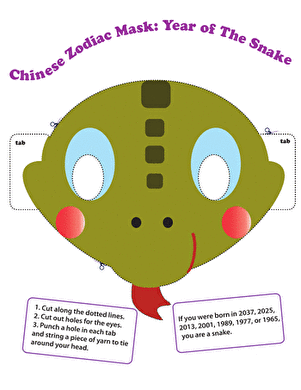 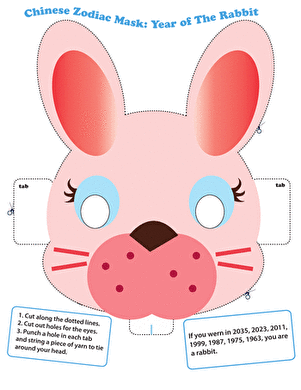 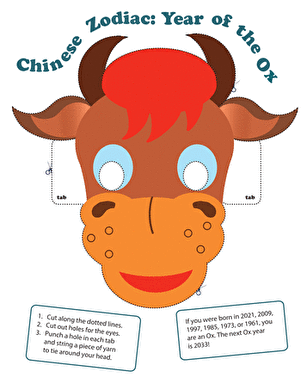 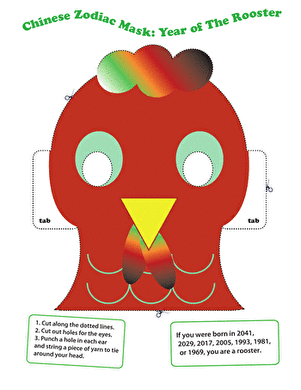 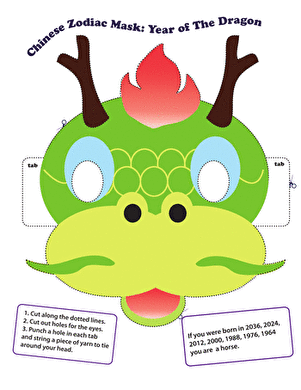 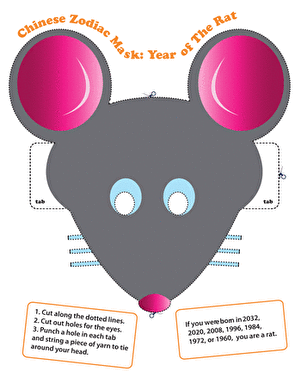 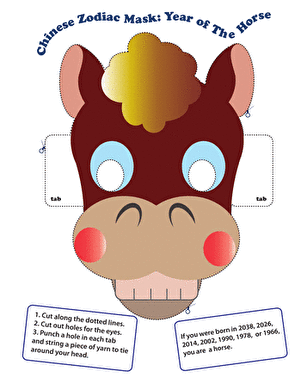 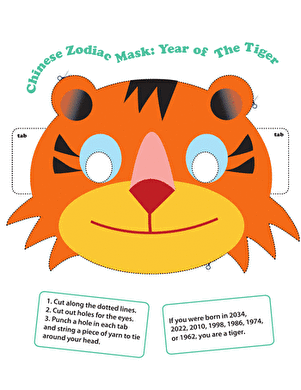 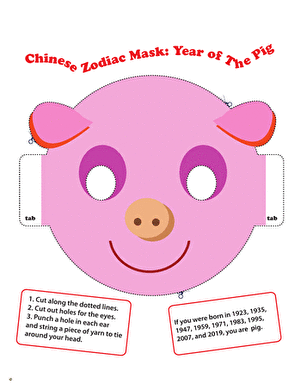 Explore the Chinese Zodiac in costume with this colorful zodiac mask cutout! 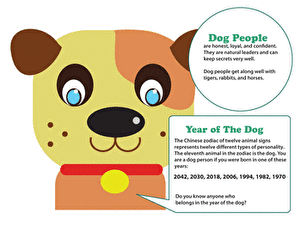 People born in Dog years are considered to be honest, faithful, and trustworthy. 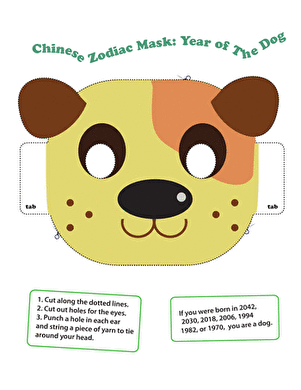 Dogs are protectors and guardians, always ready to jump to the aid of a friend.